This alluring, elegant cookbook by Nevada Berg, one of today's most celebrated food bloggers, features recipes and beautifully photographed dishes that delve into the heart of Norwegian food culture. Named by Saveur magazine as the 2016 Blog of the Year and Best New Voice, North Wild Kitchen and its author Nevada Berg have become one of the best-known voices of Norwegian cooking around the world. Written from her 17th-century mountain farm in rural Norway, Nevada Berg's blog and Instagram feed are brimming with gorgeous – and achievable – ideas for home cooking and entertaining. Berg is a self-taught cook, and her simple and charming approach focuses on seasonal food prepared without a lot of fuss. With dozens of mouthwatering recipes for Norwegian-inspired dishes, this book features equally enticing photography of the food and the country's landscape. 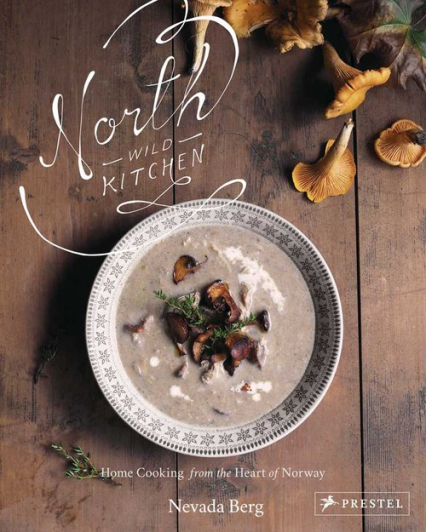 Each chapter focuses on a different aspect of Norwegian food culture – foraging, fishing, and farming; hunting, harvesting, and camping; baking, grilling, and frying. Along the way, Berg comments on the unique pleasures of Nordic life as she tends to her chickens, explores the outdoors, or sets a welcoming table. Berg is both inviting and entertaining as she weaves her own experiences into each recipe, delivering a beautiful collection of good food and great living from the heart of Norway.